Matteo Tundo was born in Potenza on 08/21/1992. He attended the guitar course in the Accademia Musicale Lucana in Potenza with M ° Antonio Nicola Bruno and at the same time He was admitted to the course of Classical Guitar with Michele Greci in the Conservatory “Gesualdo da Venosa ” in Potenza. 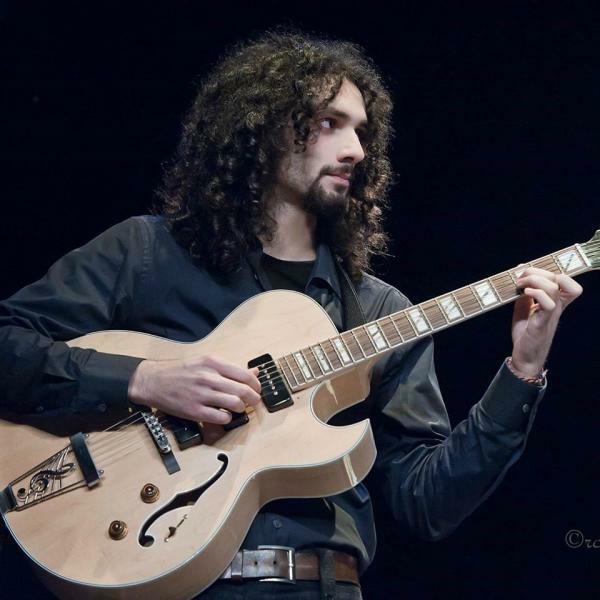 In 2011, He studied privately jazz guitar with Massimo Greco and in the same year he was admitted to the Jazz Guitar course at the Conservatory “Luigi Cherubini” in Florence with Umberto Fiorentino. Also in 2011, He attended the course of diploma in Siena Jazz with Roberto Nannetti. In 2012 He followed the master class “Orsara Jazz” with Lucio Ferrara. He studied composition privately with Simone Graziano. In 2013 He attended the course “Creative Coding” at the Tempo Reale in Florence and He participated in master class held by Esther Lamneck, playing with MNT Florence Ensemble. He played in several bands: Cryptical, Smooth Streets Project, Maurizio Gambardella, Serial Experiments, Antonio Nicola Bruno Magic Sound. He’s currently active in the environment of avant-garde music with “Zero Brane” project in collaboration with Simone Graziano, Emanuele Parrini, Matteo Giglioni, Piero Bittolo Bon and Alessio Riccio. He played also on these albums: Smooth Streets Project – City Lights; Maurizio Gambardella – Heart; Serial Experiments – Memories; Matteo Tundo – Acatalepsy; Maurizio Gambardella – Solipsism; Serial Experiments – Arcadia.